Watch the full movie, Madanolsavam, only on Eros Now. 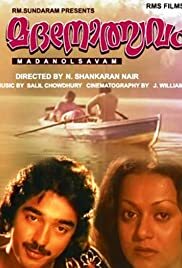 Madanolsavam is a 1994 Indian Malayalam film, directed by N. Shankaran Nair and produced by RM Sundaram. The film stars Kamal Haasan and Zarina Wahab in lead roles. The film had musical score by Sukumaran.